KATHMANDU, March 10 : The Government of Nepal has started the preparations to get erased from the European Commission’s Blacklist. The government is in preparation to send the documents related to air safety to the Commissio through Tourism Ministry which will go to the EC through the Foreign Ministry. Nepal’s CAAN also has sent the updated information to the International Civil Aviation Organization (ICAO) some two months ago. Previously the CAAN of Nepal had formally invited ICAO’s mission to carry out an audit of the corrective measures it has taken to address the significant safety concerns (SSC) relating to operations and other aspects. 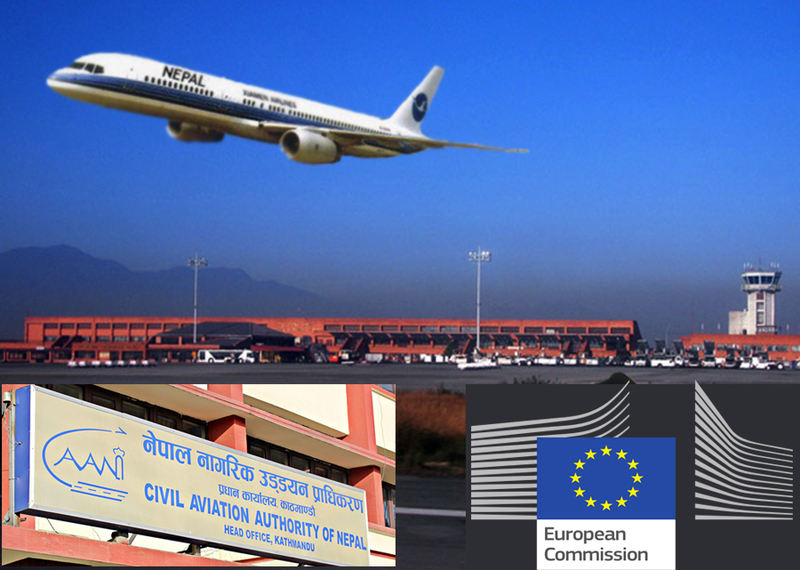 This step comes after Nepal’s Foreign Minister Prakash Sharan Mahat had requested EC President Jean-Claude Juncker to remove Nepali airlines from its air safety list during their meeting in Brussels, stating Nepal’s significant progress in aviation safety. President Juncker responded to look into the matter positively after studying facts provided by the government of Nepal. The EC imposed a blanket ban on all airlines from Nepal from flying into the 28-nation bloc in December 2013. Unsatisfied with Nepal’s progress, the UN aviation watchdog had given the SSC tag to Nepal’s aviation sector in its audit report. It had given a red flag on ‘operations’, among the eight critical elements of safety oversight, due to the large number of aircraft accidents and incidents between 2009 and 2012 when there were at least two passenger aircraft crashing annually. Caan said that it had addressed almost all the deficiencies pointed out by the Icao audit in 2013, and expressed confidence that Nepal would be removed from the safety list. In July 2013, an Icao mission visited Nepal to validate the corrective measures taken by the country to address the deficiencies pointed out by the global aviation watchdog in 2009. The mission carried out an on-site audit from July 10-16. The report was submitted in August 2013.